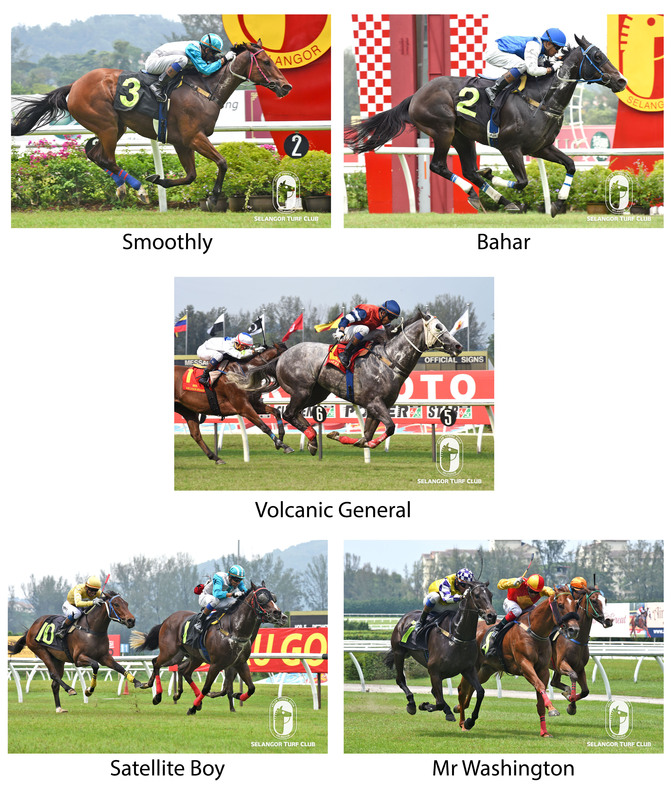 Jockey S Ruzaini showed great form when rode five winners over the weekend. He started off his winning streak in Race 2 with Smoothly and in Race 3 with Bahar and Race 5 with Satellite Boy on Saturday. On Sunday, Ruzaini rode Mr Washington in Race 5 and took the plum of the meeting with Volcanic General in Race 9. Apprentice CC Wong and J. Mallyon rode three winners each respectively. CC Wong shared the honours on Sunday when he rode Rant And Rave in the opening event and then went to greet the judges with High Tensile in Race 3 and won on D’Great Rich in Race 4. Jockey J Mallyon’s treble were in Race 9 with Nicator and Jeffrey in Race 10 on Saturday and on Sunday with Truson in Race 7. Brazilian jockey, Jose De Souza, also had rode three winners and he rode Lonely Boy in Race 8 on Saturday and on Sunday he rode Chairman Wind in Race 2 and Diamond Set in Race 10. Jockey S. Anandan rode two winners with Sun Lion in Race 4 on Saturday and Back To The Towers in Race 6 on Sunday. Jockeys with a single win were N Varmah (Sir Henry, Race 1, Saturday), HS Gill on Inniminyminemow (Race 6, Saturday), Y.Aify on Harbour Approach (Race 7, Saturday), Z.Khairil on L’Apprenti Sorcier (Race 8 Sunday), Benny Woodworth on Smart Master (Race 11, Sunday) and M Ganeesh with Tilsworth Mali (Race 12, Sunday).